Why do such applications get withdrawn in the first place? Usually because the company behind them doesn't want the burden of supporting them anymore, especially with such a low perceived market share in the smartphone world. Occasionally an application gets withdrawn because of an additional technical reason - such as the service's back end being upgraded and the app becoming incompatible - but in the vast majority of cases it's a practical or political decision by the developer. In other words, the app would still work just fine if only you could get 'at it' again. 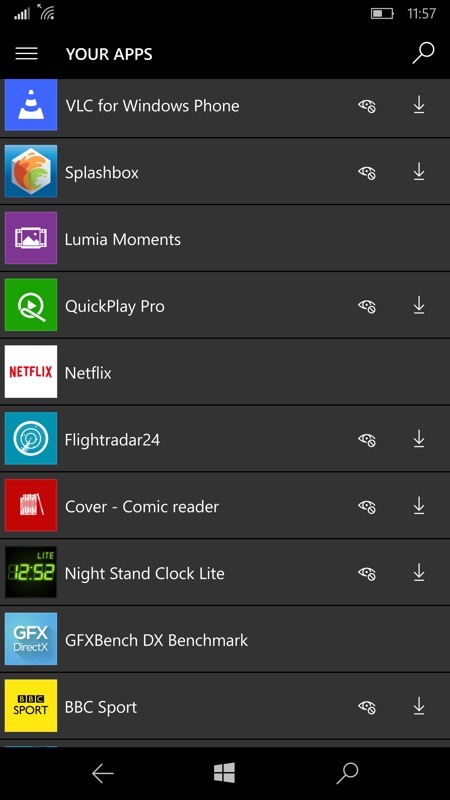 Happily, there are various levels of a Windows Phone or Windows 10 Mobile app being 'withdrawn'. Sometimes it's as simple as it being hidden from Store searches (perhaps just for your phone? ), in which case searching 'microsoft.com' for the app name in Edge on the phone normally brings up a link you can follow. Other times, with all the searching in the world, even if you do find the right link, you'll be faced with a greyed out 'Get it' or 'Install' button and you'll still be none the wiser. 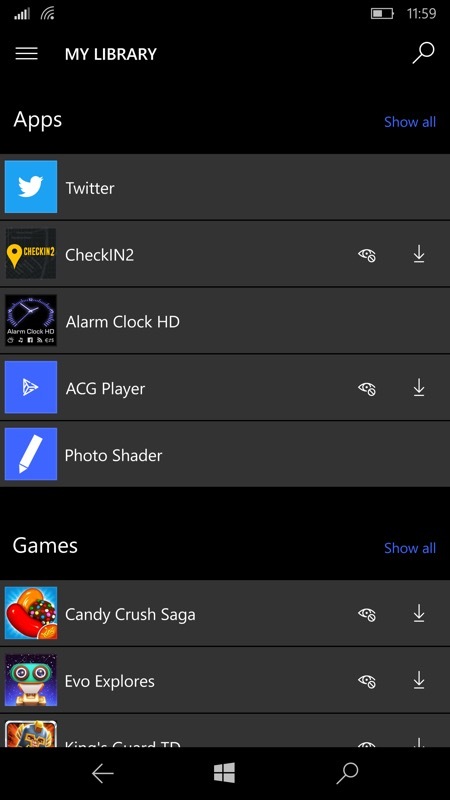 As you'll have gathered from the title above though, as long as this is an application that you've installed in the past - on any Windows Phone 8.x (or above) phone - then it should be available in your 'Library', a list of apps and games that's personal to your Microsoft account and which is maintained in perpetuity in the Store. 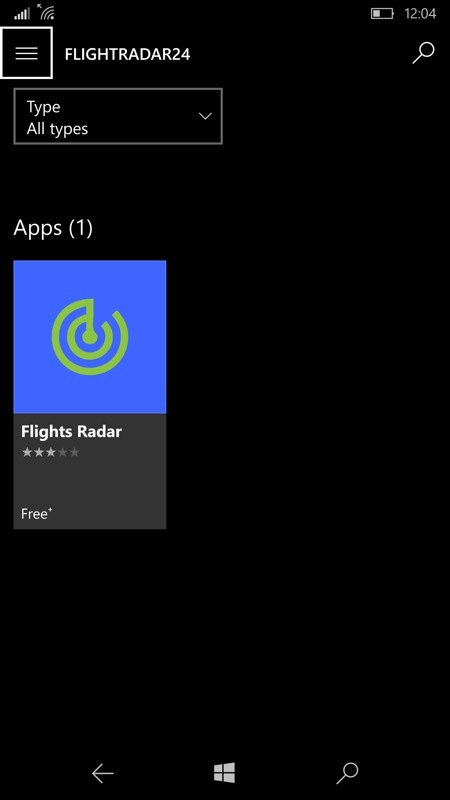 There are no guarantees, of course, from Microsoft, that installing a really old app on your modern Windows 10 Mobile (perhaps upgraded) device will still work fine under the latest OS versions, but hey, they usually do and the experiment is worth the effort in most cases. Here's a complete walkthrough of what to do. An initial view shows just a handful of items - this is because your library of items takes a few tens of seconds to compile and download. Tap on 'Show all' and then wait(!) 30 seconds. 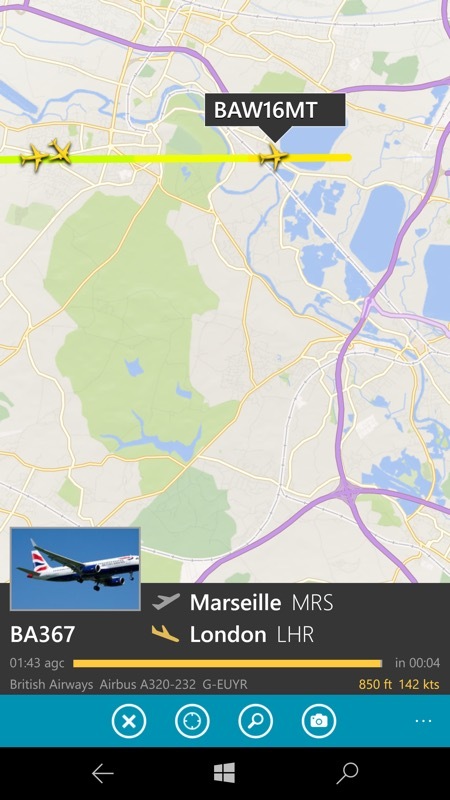 Then you can swipe down (quite a long way in my case) to (e.g.) 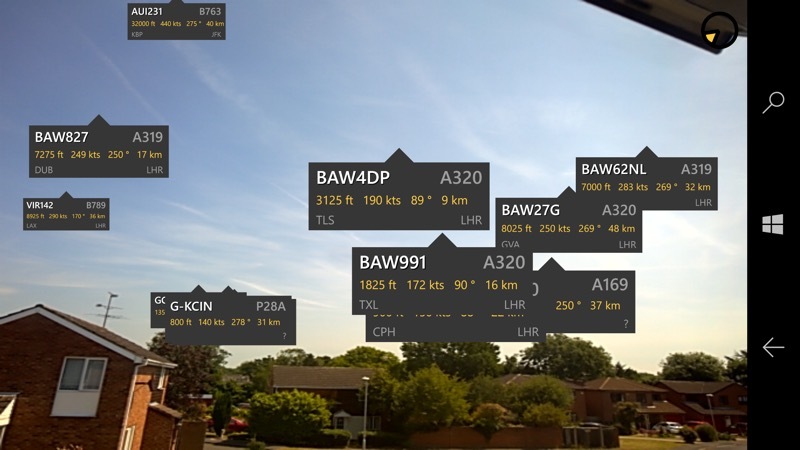 'Flightradar24', last installed at least two years ago. Tap on the right hand 'download' icon. 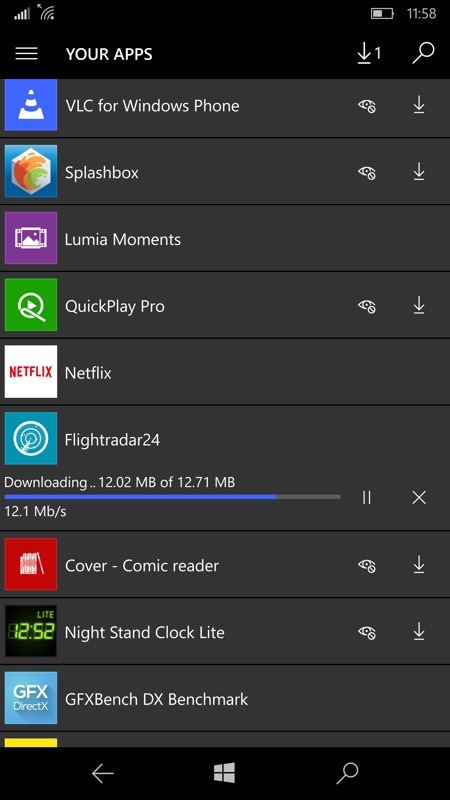 Just confirming again how well this old application works, even here under the latest Fast ring Insiders builds for Windows 10 Mobile. Camera access, full functionality - clearly the only reason the app was 'withdrawn' was financial/political! Stories and comments welcomed on which other 'withdrawn' classics you've managed to install/bring back from the dead by digging into your 'Library'! 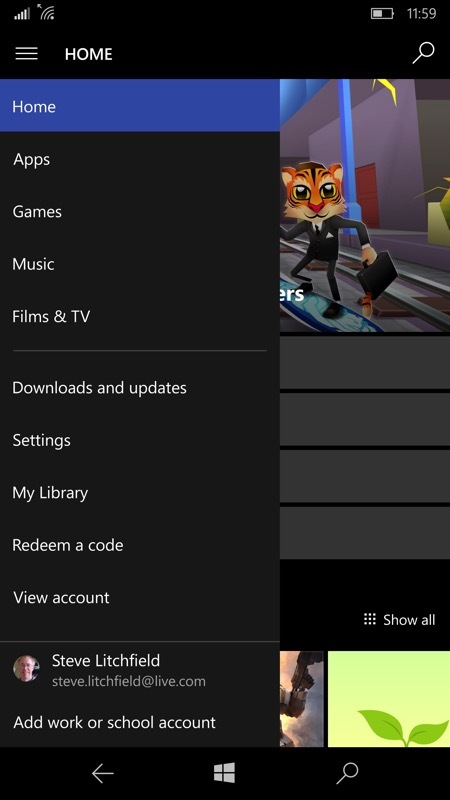 I'm sure there are a few applications or games which genuinely don't work anymore - I did try and resurrect Tiger Woods Golf, from the WP7.x days, but the screen glitches horribly and the game's not playable.